The tincture is obtained by infusing the powdered raw material into pure organic non denaturated alcohol 96°. Castoreum is the name that perfumers give to the gland of the mature male beaver that produces an aromatic substance that the animal sprays on the plants to mark his territory and seduce the females into accepting him as a partner. Trade of Castoreum has always been tied to the trade of beavers furs. The Beaver’s gland is put into alcohol to obtain the Castoreum perfume, the aromatic tincture. The aromatic matter makes most of the glands weight. The scent of Castoreum is wild and leathery, very much animalic, it is pure pheromone. 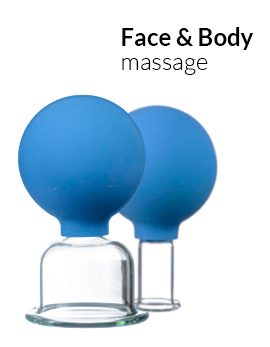 With contact on the skin it softens considerably and leaves a very persistent and delicate leathery aroma. This aroma bestows to whom wears it an enormous aura of sensuality and causes on others a sense of subjection. Castoreum is a strongly odoriferous, oily secretion from both sexes of the beaver, produced by two plum-sized abdominal glands. The German chemist Henri J. Hoffmann has described the odour of Siberian castoreum like this: "It is sharp and burning with a creosote or tar-like note, reminiscent of the 'glowing' odour emanating from birch tar or Russian leather." When diluted in alcohol, castoreum smells more pleasantly, with musky and fruity notes becoming perceptible. Castoreum is an object of trade for trappers. When the animals are skinned, the glands are taken out. They are joined by a connective tissue and are sold pair-wise after being smoked or sun-dried to prevent putrefaction. Castoreum is used in high class perfumery for refined leathery nuances. 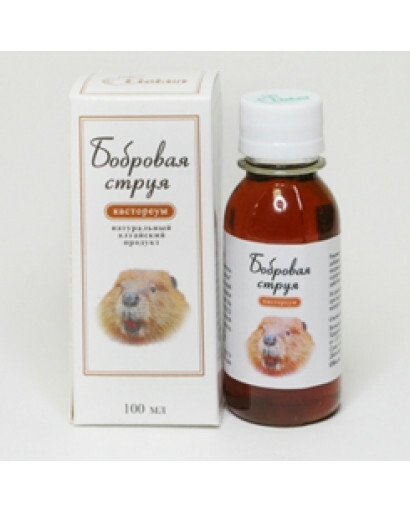 Results of scientific research show that beaver castoreum improve immunity, metabolism, potency, heal all kinds of ulcer, very strong antiseptic, give invigorating effect. You can use it for improving your health at all. It can be added to your favorite perfume or even worn pure. Castoreum is a musky, warm, rich animalic scent which lends itself to the creation of leather perfume notes and accords. It is often used as a key component in masculine scents. In conventional perfumery it is considered a base to middle note. It contains pheromone like compounds, monoterpenes, phenols, ketones and other fragrant chemicals. Some perfumes for women that feature castoreum in their composition include Chanel Cuir de Russie, Coty Emeraude, Lancome Magic Noire, Givenchy III, Guerlain Shalimar , Jean Patou 1000, Guerlain Jicky, Frederic Malle Une Rose, Juliette has a Gun Midnight Oud, Paloma Picasso Pure Parfum, and Robert Piguet Bandit. A selection of men's fragrances starring castoreum include Profumo Castoreum, Le Labo Labdanum 18, Chanel Antaeus, Amouage Epic Man, Caron Third Man, and Estee Lauder Aramis.